Nautilus Luxury Homes is the best at building luxury homes for upscale households. Our goal is to back up this statement through everything we do, proving to you that not all builders are the same. 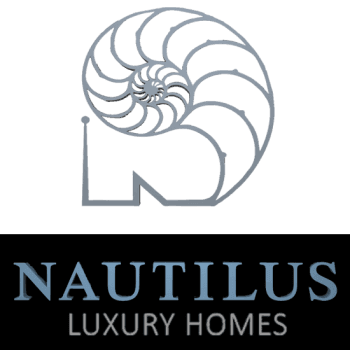 Nautilus means prestige. When you do business with us, you are distinguished from the crowd. You can look to us to keep one step ahead by identifying key trends in building, and help you access products before anyone else. Nautilus promises a commitment of an extraordinary experience. Our professionals will accompany you every step of the way during the pre-planning, planning and building phase of building a custom luxury home that reflects your personal style and your values. Your custom luxury home will be built on time, on budget, and result in a statement of achievement that reflects your vision.